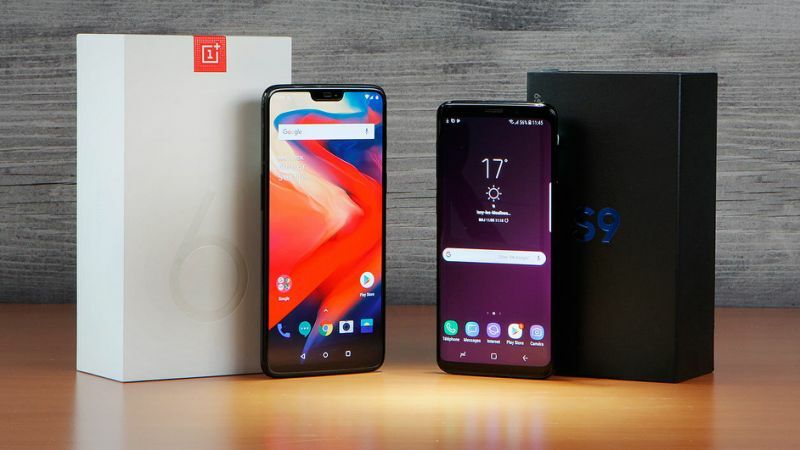 Home / Samsung Galaxy S9 / Samsung Galaxy S9 vs The OnePlus 6 - Who Won You Over? Samsung Galaxy S9 vs The OnePlus 6 - Who Won You Over? So in case you don't know, the long much anticipated OnePlus 6 has been launched, i think that should be a few days ago going close to a week now. And trust OnePlus to bring amazing flagship specs and features at an unbelievably cut down price that might even make you think the device is fake. But trust me, these things are not fake, these things are solid flagship devices that have come to compete with devices like the likes of Samsung, Sony, LG, HTC and others. 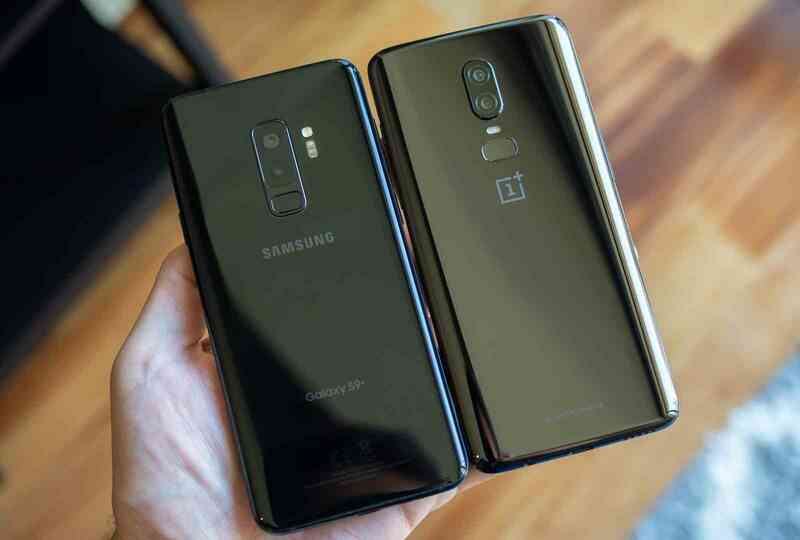 So today's comparison is pretty simple, we want to know if you were given, or you had the chance to choose between the all new and trending OnePlus 6 smart phone, and the almighty and all powerful and ever living Samsung Galaxy S9 Plus, which one would you go for.. Now remember that these phones have very identical specs, both in terms of Processors, Display, Memory, battery and others.. So to be much more precise, here is a spec showdown of both devices. The two devices both come with the same processor. A Qualcomm Snapdragon 845, which is the best processor you can find on any phone right now. 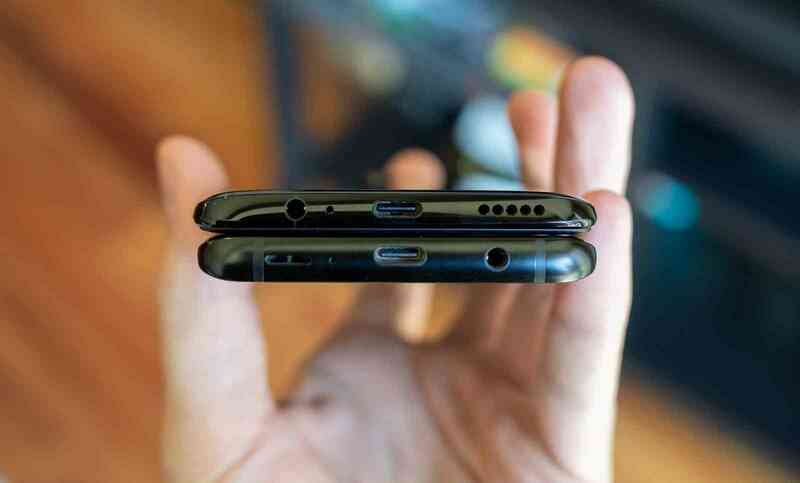 Even if the overall body design of both phones are different, they still managed to borrow a lot of things from each other, or should i say the OnePlus 6 managed to borrow a lot of things from the Samsung Galaxy S9, things like the glass body and semetrical design, the vertical camera placements and fingerprint reader placements, etc. So both phones come with both front and back glass body design, which are made from Corning Gorilla Glass 5 for both phones. But there is one difference here, the Samsung Galaxy S9 utilises its glass body for wireless charging of the device, while for OnePlus, well we've still not seen any use for the glass body on the OnePlus 6 smart phone. 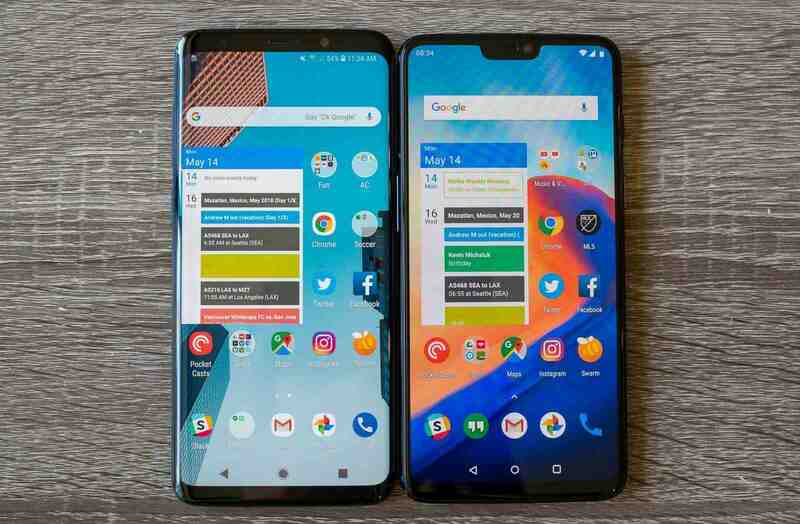 So both phones also launched with slightly identical display in the sense that they both make use of OLED panels for their display, but Samsung own uses an in-house built Super AMOLED panel, while the OnePlus 6 uses an Optical AMOLED panel. 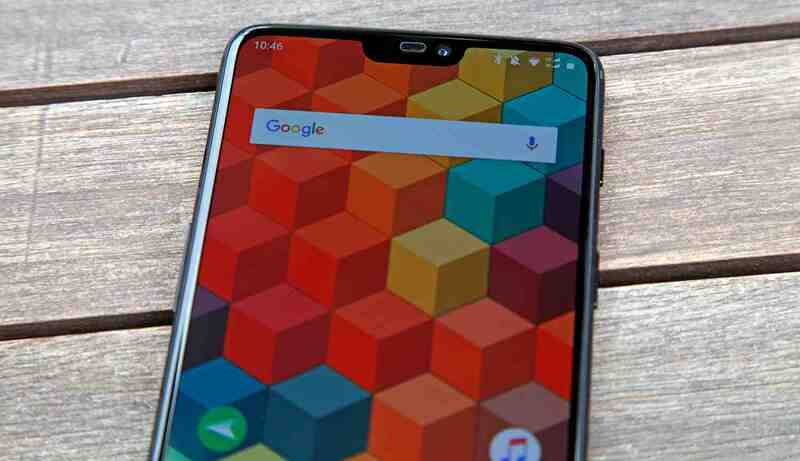 Then coming to the screen sizes and resolutions, the Galaxy S9 Plus comes in at a 6.2 inch display with a stunning QHD+ (Quad HD Plus) resolution which can be tuned down to a FHD+ (Full HD Plus) or just a HD+, and that is only if you are strict on battery life, while the OnePlus 6 follows behind with a slightly larger and sometimes not noticeable 6.28 inch with a just enough FHD+ resolution. Don't know if it can be tuned down or not, but all we know is that the display is crispy, clear and sharp. And don't forget about the notch. So in terms of memory, i will say that it is very very hard to decide because of how these things are configured. So for the S9 Plus, you will be getting a 6GBs of RAM with either a 64GB, 128GB or 256GB of inbuilt storage of which all are expandable for up to 400GB using a microSD card, while the OnePlus 6 comes in with a massive 8GBs of RAM with either a 128GB or 256GB inbuilt storage which is not expandable for whatsoever. Then there is another smaller version of 6GBs of RAM with 64GB of inbuilt storage, which is not also expandable. Now before we go into this, i will like us to know that the number of megapixels on a camera does not always recount for better looking images and all that, what matters is the type of technology used and the level of optimization. 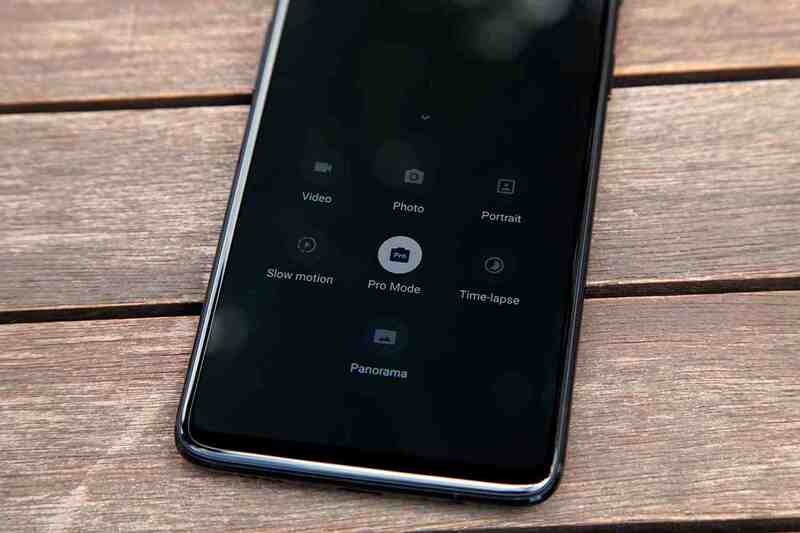 So with that out of the way, i will like us to know that the Samsung Galaxy S9 Plus comes with something that they reffered to as Re-imagined cameras. And what do i mean by this? the cameras come with a never before seen feature on smart phones camera known as the Variable Aperture, or Dual apertures, or double apertures, or changeable apertures, whichever way you want to call it. And what this means is that the main shooter can change from a smaller F2.4 aperture to a very wide F1.5 aperture and vice versa, and this simply results to stunning low light photos that can't be competed with. And apart from the aperture thing, it also has some other geeky and fun camera features like the super slow motion video recording at 960fps, then there is the AR Emoji, and so many others things. While for the OnePlus 6, we are looking at another stunning double 16MP shooter, both with considerably large F1.7 apertures, and also comes with super slow motion video recording, but not as slow as that of the Samsung Galaxy S9 Plus at 480FPS, and doesn't have anything related to AR Emoji, but trust me, these cameras take amazing pictures that will be hard to differentiate if placed side by side with that of the S9. So for the first time, Samsung is utilizing a Stereo speakers on its phone, and they just made it right. So the S9 Plus has its main speaker at the bottom of the device, then it also uses it earphone as a secondary speaker to give you that stereo effect. And not only that, these speakers are also tuned by Harman AKG and comes equipped with Dolby Atmos for sound enhancement and effects both with and without earphones... Now this is what i call a Smart Phone. Then don't also forget that it comes bundled with an additional Harman AKG branded earphones. So all these things when put together, simply translates to a better sounding speaker, with little to no sound distortions or anything of such, very clear and deep bass, that is far from what we've been used to seeing on earlier Samsung Galaxy flagship smart phones. Then coming to the OnePlus 6, we have a single mono speaker that is loud and clear enough to hear whatever that is being played on the phone, and also comes with Dirac 3D Sound Enhancement to give you very clear sounds and surround sound effects when using earphones. Trust me, these things are top notch. Now this is a very crucial part for most people which means that we have to be very careful in order not to say the wrong thing. So the Galaxy S9 Plus ships with an arguably large 3500mAh power battery, while the OnePlus 6 comes in with a 3300mAh power battery. But personally i think the OnePlus 6 will beat the S9 in real life usage. Why because for one thing, the OnePlus uses a near stock android ui that doesn't have too much customizations and unnecessary gimmicks that might drain the battery even when you are not using the device, compared to the S9's over customised and sometimes confusing Samsung Experience Ui that has too much of a features, which most of them appears to be unnecessary some times. And this also results to the OnePlus 6 running faster than the S9 in performance and speed. So when it comes to other little little side attraction features that sometimes are useful, while sometimes are unnecessary, the Samsung Galaxy S9 packs a lot of them. We already mentioned Super Slow Motion Video Recording at 960FPS, and also the AR emoji which is now becoming a norm in most smart phones nowadays, then there is wireless charging, IP68 dust and water resistant rating, Samsung Dex (Desktop Experience), Bixby, and every other things.. So with all these specs and features being discussed above, you should already know that the Samsung Galaxy S9 Plus will cost more than the OnePlus 6. So the Samsung Galaxy S9 Plus is currently sold for $720 on Amazon, while the OnePlus 6 goes home with you for just a $529 price. So at this moment, i guess you are caught in between specs and features, and price. So make your choice now and tell us what you think in the comments section below.. bye and see you on the next one..